We are seeking information regarding indigenous cultures along the River Murray. If you can assist us with information and images please contact us. The Murray River flows through many harsh environments, giving life to hundreds of varieties of animals and plants on its floodplain. The Murray Valley had the most concentrated human population in prehistoric Australia. Foods such as fish, shellfish, birds, eggs, mammals and a variety of plant foods were found here. Not surprisingly there is considerable evidence of Aboriginal occupation along the river and it's anabranches, with some archaeological sites as much as 20,000 years old. 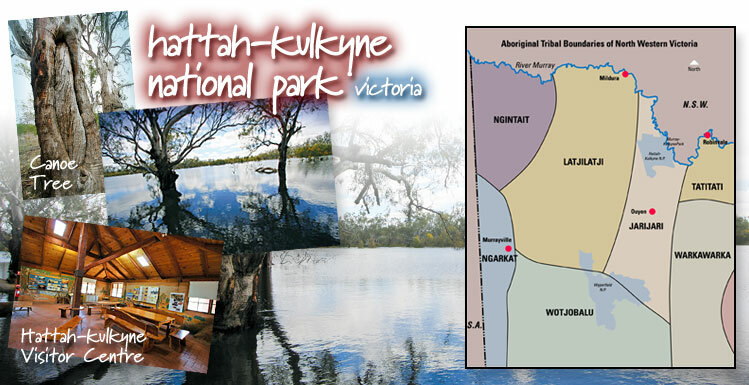 Before European settlement, the area now occupied by Hattah-Kulkyne National Park and Murray-Kulkyne Park was part of the territory of the Jarijari Aboriginal tribe, according to anthropologist N.B. Tindale. This territory included the River Murray in the north and Mallee country to the south. Territorial boundaries were marked by ecological and geographical features such as rivers, lakes, plant associations and climatic conditions. Jarijari was the tribe's word for "no". It was used to name the tribe because of the frequency of it's use in the language. many tribes along the lower Murray were named after this linguistic feature. 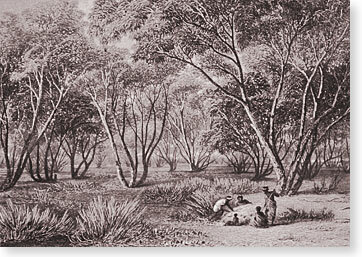 Early European explorers believed that few, if any, Aboriginals permanently occupied the mallee country because they saw it as an inhospitable place. It is, after all, the driest region in Victoria. In more recent times it was thought that Aborigines entered the Mallee only on brief hunting and gathering excursions from base camps along the Murray. However, evidence gathered from the many archaeological sites in the Mallee suggests it was a more permanent home for many Aborigines. 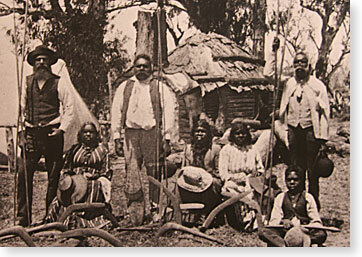 It is probable that Aborigines moved into Mallee areas from the Murray Valley because of a rapid expanding population there.